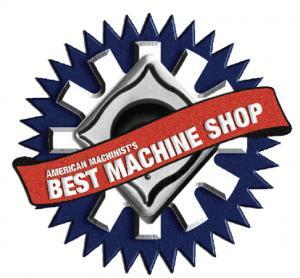 Best Machine Shop | Valley Tool, Inc.
Cayce Washington adamantly believes he is living the “American Dream.” He comes from a modest background: After working in a local grocery store for several years, Washington took a job in a machine shop at age 21 and loved the work. At age 24, he advanced into the shop foreman position, and one year later, in 1997, through owner financing, purchased the company where he worked. Now the shop is known as Valley Tool, Inc., with Washington serving as president and a working owner. To his surprise, the “new” shop began turning a profit soon as its first three months of operation, and has been doing so ever since – growing from a six-man operation to its current fifty-plus employees. Valley Tool, Inc.,manufactures custom tooling (repair and part replacement), custom fixturing (both for gauging and workholding) and custom gauges for general manufacturing, dies and form tools. Its major markets include aerospace, medical, oil and gas, firearms, automotive, commercial heating and cooling and heavy equipment, Work/jobs, percentage wise, are distributed evenly among these various markets, and being that diversified has helped sustain the shop through tough economic times. According to Washington, the shop’s philosophy is to use everything, both equipment and employees, to its maximum potential and to “take care of what takes care of you.” With that said the first thing he did was re-organize the shop so that employees weren’t constantly searching for the supplies and tooling they need for their work. “What we tried to do was give everyone the tools they needed, basically by establishing a toolcrib and tool cabinets strategically located near work areas. At the time, we called what we did ‘structural organization’ and didn’t realize we were actually incorporating lean,” explained Washington. To get the full potential out of its equipment, Valley Tool, Inc., relies on a rigorous maintenance schedule, and it tires not to “beat up” its machine tools. For example, a machine’s manufacturer’s suggested maximum cut depth maybe 0.250 in., but the shop will stay below that amount. Washington said that doing so may add a little production time to each part, but it saves the machine in the long run. He acknowledged that pushing a manchine may make money, but inevitably the extra revenue has to be invested into replacing worn our equipment. How the shop stays competive while still preserving its equipment is less than five years old, and Washington strongly believes in re-investing in the company. He added that newer the technology provides reliability and more consistent repeatability and more-consistent repeatability. Job volumes are relatively small at Valley Tool, where a 200-piece order is considered “large.” Average job sizes are between two-five parts, but in most cases, these parts are extremely high-precision products. When jobs come in, the customer is usually in an emergency situation and needs the part right away. Because of this, job setups must be fast and efficient, and quite often Valley Tool will make extra part for inventory when it known an order will eventually repeat. Further minimizing set-up time and adding to efficiency, 90 percent of Valley Tool’s machinist have extensive manual machine experience, so they are quite familiar with machine set-up. They also do their own programming and run the jobs. Getting machinists to this level takes a lot of in-house training and sending people to school, according to Washington. And, he added that it requires high intelligent people to start with. The shop hires all types of workers, but usually they can determine within a short time which ones will or will not be able to handle the assignment. “We need machinists who can go from one type of machine to the next and understand the programing parameters of each machine. So we can also do a great deal of cross-training,” Washington said. Jobs flow through Valley Tool smoothly thank to a shop foremen. This person oversees jobs, directs workflow, makes sure jobs stay on schedule, and answers any questions concerning a particular job. He also determines which of the shop’s lead men are assigned which jobs. For example, if 90 percent of a part’s features involves turning, the shop foreman issues the job to a lead man who is more oriented toward turning work. The shop foreman also prepares quotes for new orders, and acts as an in-house liaison between the customer and the shop. He will then consult with production point men located throughout the shop to determine job schedules. Basically, the shop has a point man for each of its types of manufacturing/machining operations. However, both point men and the shop foremen are active on the shop floor with production activities. In-process quality control is a must at Valley Tool. Each machinist at each process area/department is responsible for ensuring that the operation he performed on a part is correct according to the part print. Then, he must sign off to that face before the part can move on to the next operation. When a part is completed, a quality manager audits and documents all critical dimensions and how they were measured. As a result of its quality-control process, Valley Tool’s scrap rate is less than 1 percent, and the target is zero percent. According to Washington, what sets Valley Tool apart from its competition, in addition to its highly skilled and motivated employees, is the shop’s rural location, which translates to very little turnover in personnel. He pointed out that having perhaps four or five shops within a 20-mile radius is quite unlike a shop in a metropolitan area where machinists can quit and start again at a nearby shop. “It’s good to be in the country,” said Washington. “ Our rural setting and work atmosphere contributes to a continuity between a core group of people. We treat them right, pay a fair wage, and respond to their needs. They, in turn, are expected to be here every day, on time, and do their jobs. But, most importantly, we do put families first, and our employees don’t take advantage of that.